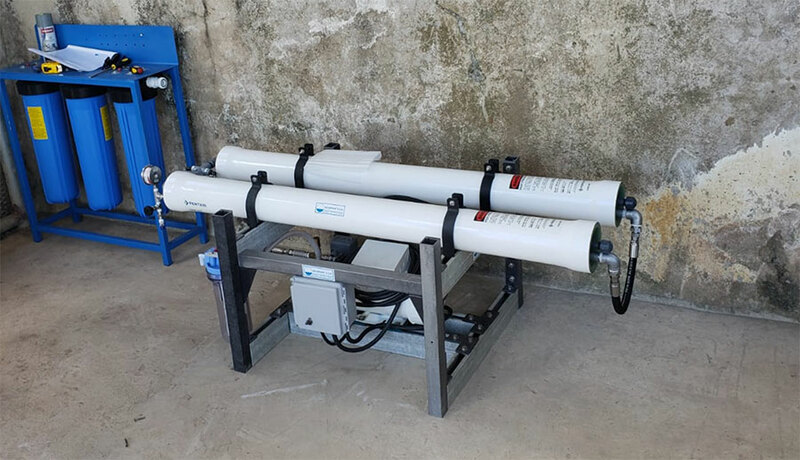 After a year in the making and five weeks of planning and construction, our desalination machine is up and running! In addition to creating this more sustainable solution to secure water provision for the Cayo Santiago Rhesus macaques, this will also help accelerate plans for the reconstruction of key structures and our desperately needed Reforestation Project. A special thanks to all of those that in one way or another had a key role in the accomplishment of a more sustainable water source for the monkeys on Cayo Santiago. All was made possible through the kind donations made by Dr. James Higham (NYU) through an NSF RAPID grant and MJ (citizen) via Project Monkey Island. Click here to find out more about our Reforestation project.